Canine Pneumonia | What Are The Symptoms, Causes and Treatment? Canine pneumonia is an inflammation of the lungs and can be caused by viruses, bacteria, fungi, or parasites. It is characterized by a moist, bubbling cough and fever. Read on and learn more about the symptoms, causes, and treatment of pneumonia in dogs. Just like pneumonia in people, pneumonia in dogs is a serious health condition and can be life-threatening. Canine pneumonia seldom occurs to healthy dogs with a strong immune system. So which dogs are at higher risk of getting pneumonia? Dogs with weakened immunity because of chemotherapy or corticosteroid therapy. Bacterial pneumonia in young puppies is commonly caused by kennel cough. Foreign bodies in the lower airway. Fungal infections such as valley fever (Coccidioidomycosis) or blastomycosis can also cause pneumonia in dogs. Dogs get fungal infections by inhaling the spores. About 50% of infected dogs will show respiratory problems such as coughing. Pneumonia can occur secondary to the infections. Viral pneumonia in dogs is usually the result of canine distemper, parvovirus, or upper respiratory infection (URI). Internal parasites such as lungworms and heartworms can cause parasitic pneumonia. An allergen or irritant can trigger allergic pneumonia. This causes excessive inflammatory cells to infiltrate the lungs. This can result in pneumonia. Inhaling smoke can cause chemical pneumonia. So can ingesting some chemical substances, such as gasoline or kerosene. Aspiration pneumonia is caused by liquid entering into the lung. This occurs rather frequently in dogs with cleft palates or mega-esophagus. Sometimes, during general anesthesia or vomiting, stomach contents may get into the lungs. This can also lead to aspiration pneumonia. One classic symptom of canine pneumonia is a moist, bubbling cough, indicating fluid in the lungs. Dogs with severe pneumonia are unable to get enough oxygen into their lungs. As a result, they often sit with their head extended and their elbows turned out. This allows for greater expansion of the chest. Treatment of canine pneumonia depends on how serious the disease is. 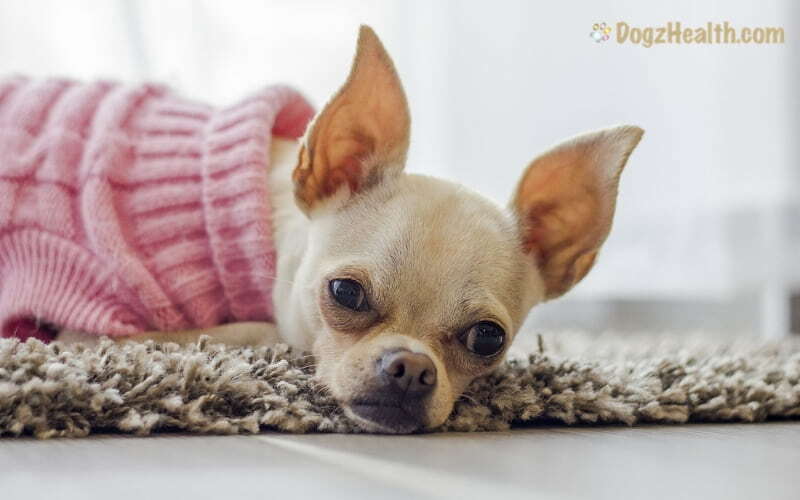 Dogs with pneumonia but with light symptoms can be treated at home. Usually the vet will prescribe medications such as antibiotics for bacterial infection. The dog should continue to take antibiotics for at least three weeks. Usually, the vet would suggest weekly chest x-rays to make sure the condition is improving. Even though the dog may have a nasty cough, try not to use cough suppressants because coughing is actually helpful for the dog. It can clear the airway by bringing up the mucus and pus and facilitate breathing. For dogs with fever and signs of respiratory infection, they need hospitalization and urgent veterinary care. Treatment may include the use of antibiotics and intravenous fluid. 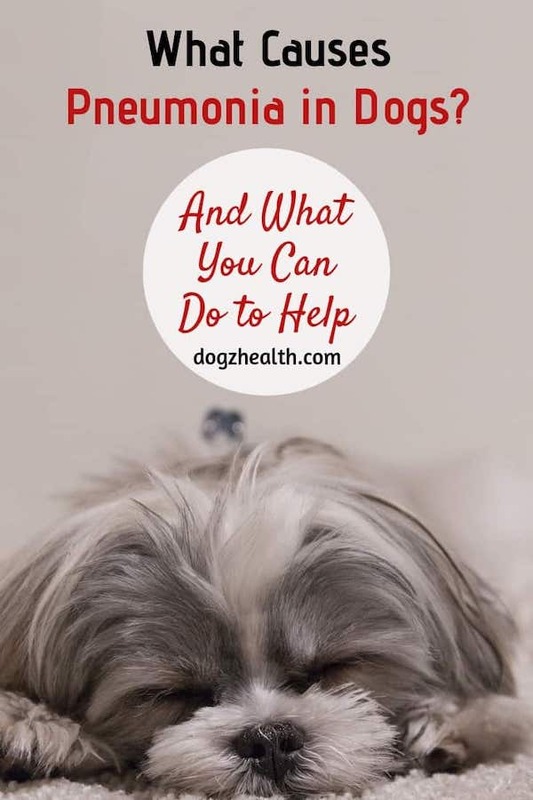 Besides prescribed medication, you can do several things at home to make your dog more comfortable if he has pneumonia. Unlike cough suppressants, cough expectorants do not suppress the cough reflex. They help to liquefy mucus secretions so that they can be coughed up more easily. Cough medicine that contains an expectorant called guaifenesin is available over the counter (e.g. Children’s Robitussin). It is safe for use on dogs for all coughs. Recommended dosage is one teaspoon per 20 pounds of body weight every 4 hours. Alternatively, try giving raw honey or manuka honey, to your dog. Honey has powerful antibacterial and antiviral properties and is soothing to the throat. If you choose to give manuka honey, be sure to get one with an UMF 15 or more. Vitamin C boosts your dog’s immune system so he can recover faster from diseases such as infections. 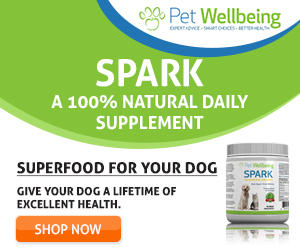 Try giving your dog a daily dose of vitamin C.
Dosage is 500 mg for bigger dogs and 250 mg for smaller dogs. You can also use an herbal tincture of echinacea to help boost immunity of your dog. Use a vaporizer for 10 to 15 minute intervals several times daily to soothe and moisten the dog’s airway. If you have essential oils, adding a few drops to the vaporizer can help ease the cough as well. Essential oils of lavender, eucalyptus, and niaouli are antibacterial and antiviral. Chamomile essential oil has a calming effect. Percussion therapy is a technique that you can use to help break up and mobilize secretions deep in the dog’s lungs. To do this, cup your hands and gently but rapidly tap your dog’s chest wall repeatedly. This loosens the secretions deep in the lungs and helps them move into the airways. The secretions can then be eliminated through coughing.